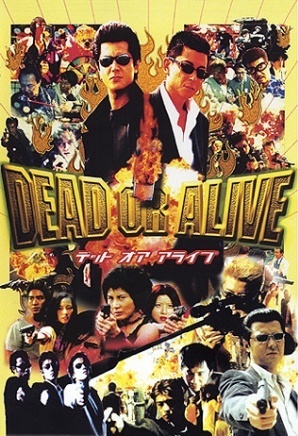 Dead Or Alive (1999), like much of Takashi Miike's work, is a bit of a schizophrenic film. The first 10 mins are dizzying in a "what is even happening" kind of way, then the film is a mostly slow somewhat straightforward yakuza picture for the majority of the movie (with the occasional gross/disturbing/funny scene typical of Miike and one shootout near the end reminiscent of John Woo). Then there is that completely left field ending. This was my first time seeing this one. As with other Miike films, I'll probably need another viewing to fully digest it but I'm still unsure why he decided to play it straight for most of the film's running time, only to go full bizarro at the end (unlike say Shinya Tsukamoto or some of Miike's own other films).